Guide To The Best Walks In Britain. Serious rambler or dog walker? 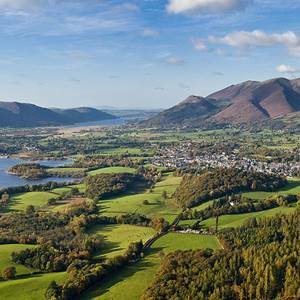 We recommend ten perfect places to pitch up to with your caravan and motorhome to enjoy some of Britain's greatest walks. A family run working farm and campsite, Trevedra Farm boasts dramatic sea views overlooking Land's End and the Isles of Scilly. Established over 70 years ago by Leslie and Mary Nicholas the site is now run by their grandson, John, and wife Wendy. It’s just a short walk to the secluded, dog friendly Gwynver Beach. From here follow the stunning coastal path on to Sennen Cove and Land’s end. History buffs can experience the Mesolithic, Neolithic, Bronze Age, Iron Age and early medieval periods in just two hours! Weary walkers can treat themselves to fresh bread, Cornish Pasties, home-made cakes and cooked meals at the popular Ocean Blue Café. At Clumber Park caravan site visitors enjoy the freedom to explore more than 3,800 acres of pretty parkland, heaths and woods. There’s something for everyone with a vast array of walks through charming gardens, peaceful woodlands and along a magnificent lake. As the caravan site is part of what used to be Sherwood Forest, kids can enjoy the excitement of camping in the same forest that Robin Hood and his Merry Men had their adventures. They can even re-enact some of Robin Hood’s famous tales in the site’s popular play area. The Gothic-style chapel, often referred to as a ‘mini-cathedral’, offers a lovely moment of quiet reflection. Or, depending on your tastes and travel buddies, pop into the Discovery Centre to get up close and personal with some of the parks more reclusive members - whether they’re furry, feathery, creepy or slimy! The New Forest caravan site was originally part of an old WWII bombing site. In fact, parts of the original runway still exist and there’s also a memorial to the New Forest Airfields just to the north of the caravan park making this a very attractive destination if you’re interested in war history. Bird life including Song Thrushes and Bullfinches can be discovered in the campsite’s centenary gardens, which were created in celebration of its 100th anniversary. There’s more history to be enjoyed by visiting the old bombing observation shelter along Ashley Walk across a landscape of skipping streams, brooding woodlands and open grassy areas. Dogs are welcome to roam freely but make sure to keep an eye on Rover and Fido as there may be deer, horses and cows! At Wirral Country Park caravan site it’s possible to have lots of mini holidays in one! You can breathe in the sea air, capture stunning images of wildlife over the River Dee or picnic in the tranquil grasslands – all from one camp site. The campsite only allows caravans or motorhomes but is well laid out and offers ample car parking and public toilets. There are a number of nature trails on-site to follow including the 12-mile Wirral Way which follows a disused railway line and the river. The wonderful views are a real highlight, changing at every turn. Take care with dogs as there are some un-fenced cliffs. Driving up to the entrance of Battle Normanhurst Court Caravan site, visitors will notice the magnificent iron gates still bearing the name of the historic house. Based in a former garden, the site boasts splendid shrubbery including rhododendrons - an absolute riot of colour in the spring! Wandering around the grounds, visitors can discover interesting artefacts from the former manor house including floor tiles and ornate railings. The site offers great facilities for families, including an area for ball games and a playground on site. Dogs are well catered for, with a lovely dog walk within the site grounds. Alternatively, visitors can take any one of the narrow, winding lanes that lead from the site to tiny intimate villages, each with its own church and pub. Be transported back in time along a nearby trail which intersects the very spot where the 1066 Battle of Hastings was fought and won by William the Conqueror. 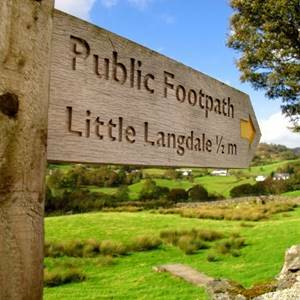 This four and a half mile walk is generally easy underfoot with some hillier segments, an excellent opportunity to stretch your legs and admire the views. There aren’t any stiles to trap or confuse canines and the free parking is a welcome addition. The North Yorkshire Moors is a wonderfully relaxing and tranquil spot. There are beautiful moorland views from the western side of the site and it’s a perfect starting point for a visit to the delights of nearby Whitby. Visitors will have over 1,300 miles of footpaths to choose from, many of which can be joined from the park. A bracing stride toward the gothic towers of Whitby Abbey – made famous by Bram Stoker’s Dracula novel – is a great walk for anyone looking to blow away the cobwebs. The four mile stretch may get a bit windy but the terrain is well kept, clean and easy to amble along. There’s ample of space for dogs to run around, although certain areas do restrict them to the lead during the peak summer period. Brecon Beacons caravan site is set in the foothills of the glorious Welsh countryside and can lay claim to some of the best views of the central Beacons, with dramatic vistas of Pen-y-Fan, Cribyn and Corn Du. There are plenty of amenities for families on site with a well stocked shop, play areas, and a restaurant with an adjacent play barn to keep the kids entertained. The site’s an ideal location to both enjoy the peace and tranquillity or take the more daring option and walk, climb, bike and cave your way through the countryside. Go up, up and away into the high country, carved by ice a millennia ago, or explore deep, wooded gorges where rivers are still shaping limestone rocks as they tumble down spectacular waterfalls. If all this activity builds up a thirst, there’s a charming local pub just 10 minutes down the road. Now with 10 serviced pitches and situated between the River Ure and the market town of Hawes, Hawes Caravan Site offers hours of captivating landscape to explore. 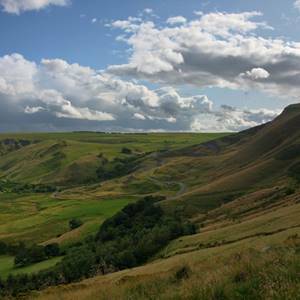 With the beautiful Dales right on the doorstep, the site offers breath-taking 360 degree views and, for walking enthusiasts, the opportunities are endless. Sitting as it does between Buttertubs and Fleet Moss in the Yorkshire Dales, Hawes has an immense character that really needs to be experienced. As well as the stunning scenery, there’s plenty to enjoy including a charming chocolate-box village, an 18th Century water-powered cotton spinning Gayle Mill, and the Wensleydale Creamery with its signature Wallace and Gromit cheese. 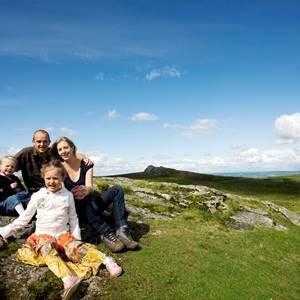 Stamford caravan site, set in the historic Dales Wood, is a superb place for leisurely wanderings in lovely landscapes. From the wide choices available in this area, Dales Wood allows you to view birds and even deer from the Wildlife Hide then enjoy a magnificent view of Rockingham Forest. Designed with families in mind, the surrounding Fineshade Wood has numerous events and activities running throughout the year such as the Gruffalo trail for kids. The woods are also gradually being restored to site-native broad leaf woodland under the 'Ancient Woodland Project'; those that are inspired by the project can donate to the Woodland Trust. Milestone is a five star multi-award winning caravan park with over 100 touring pitches on a mixture of level grass and all weather surfaces. All pitches are lined with shrubbery for added privacy, while the open plan design of the park creates a spacious feeling. The site offers coarse fishing for the keen angler and a pretty picnic area surrounds the lake for those wanting to take in the luscious scenery. 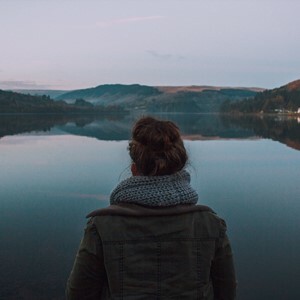 There are also specialist fishing lakes in nearby Milestone village which can be reached along a variety of scenic walks, making this caravan site ideal for anglers and walkers alike. Nearby Newark castle is undoubtedly worth a visit with its superbly kept grounds and its beautiful walls, it's the perfect place for a picnic on a sunny afternoon or after a stroll down one of the many lovely river walks. There’s seasonal entertainment, including a bandstand that holds many concerts throughout the year.